I have finally made it to Rome! One of the great things about working for an American company in Italy (other than the fact that I get to live in Italy) is that I get a paid vacation day for every American federal holiday. I used this long weekend to finally make a trip to Rome, the city I have been dreaming of since Mrs. Shaffer’s Latin class in high school. I took the afternoon train from Padova. It is a 3 hour 18 minute journey with only a few stops. As soon as I got to Rome I found a taxi to take me to my hotel. I grossly overpaid for the taxi, but I prefer that to lugging my bags around a strange city getting lost for hours. On the way to the hotel I chatted with my taxi driver. He spoke no english and I speak only a little Italian and I sound like a drunk toddler when I speak Italian so it was a disjointed conversation to say the least. I noticed a lot of Roman streets are named after dates. For instance one street was name 20 September; I asked my driver if 20 September was important and he said “Yes, of course it is important, it is the name of the street.” Alright then…. My hotel is not really a hotel, it is a room for rent run by nuns. 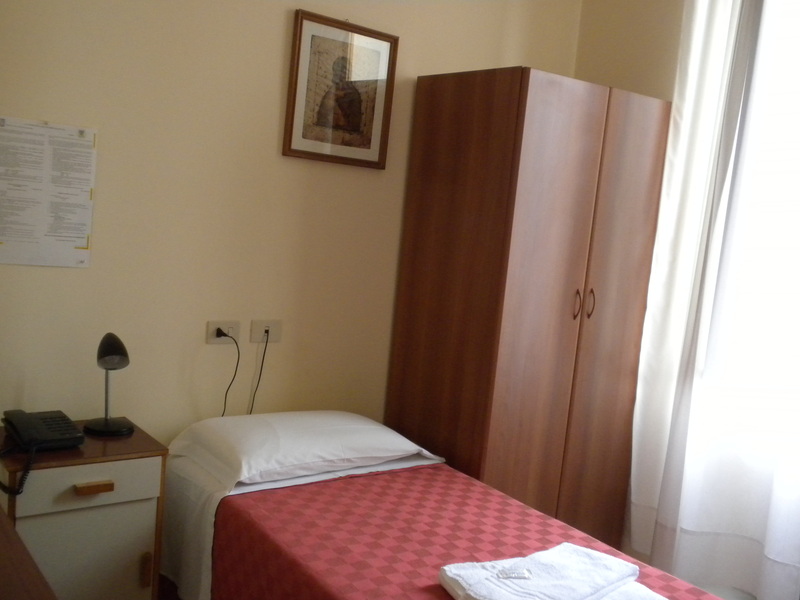 Convents and Monasteries in Rome bring in extra money by renting rooms to travelers. The rooms are sparse but clean, and most importantly, safe. Here is a picture of my room. 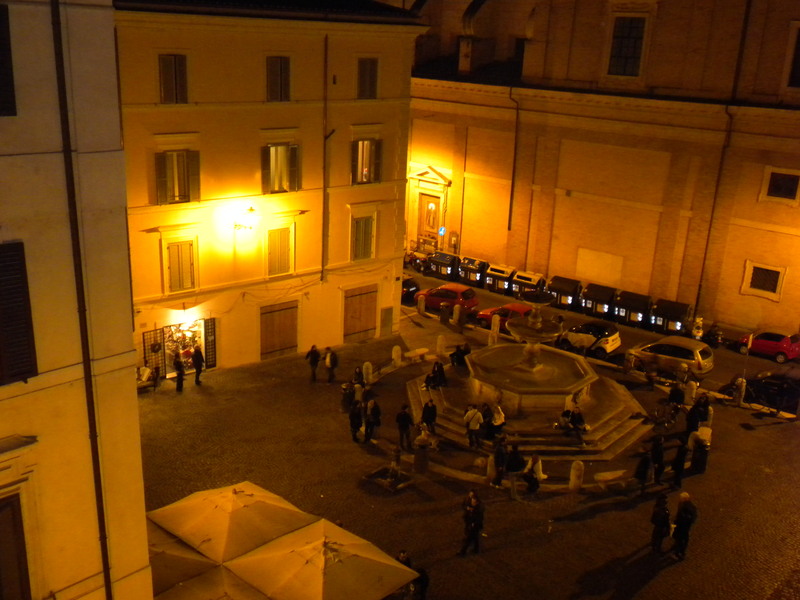 The room overlooks the Piazza Madonna de Monti, a small square with a few restaurants and a central fountain where people like to gather. The curfew at the convent is 11pm, if you are not in the building by 11pm you get to sleep outside. I don’t mind the curfew since I am not much of a night owl, and the locked doors make me feel safer since I am traveling alone. Best of all, I am about three blocks away from the coliseum!!! Tomorrow I am touring Vatican City and the Catacombs. I am so excited! This entry was posted in Uncategorized and tagged Italy, Rome, Travel. Bookmark the permalink. How very lovely! Can’t wait to see more.